Subaru vehicles are as unique as the people who drive them in San Leandro, CA. Each Subaru has an innate sense for high-performance, Asian-inspired efficiency and the reliability you expect from a Japanese carmaker, which is why Subaru vehicles are so popular in Alameda County. Your Subaru will continue to operate at peak performance for years to come with just basic maintenance and an occasional Subaru repair. 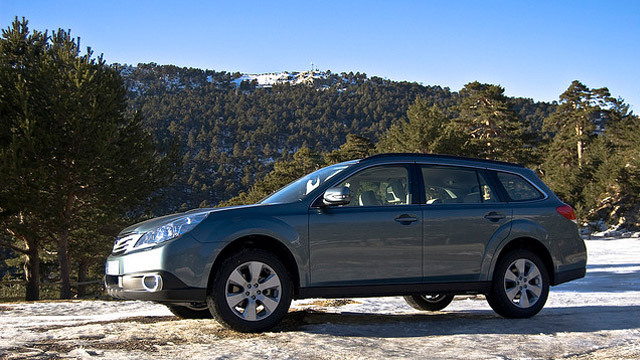 Wright’s Automotive Service has been the top choice for quality Subaru repairs in San Leandro. Since 1977, our honest and courteous team have performed reliable auto repairs on all makes including Subaru while providing the best customer experience possible. At Wright’s Automotive Service, our technicians are second to none when it comes to training and expertise. They are ASE-Certified in a wide range of fields and have decades of experience, meaning they are well qualified to perform your Subaru repairs. Using leading-edge technology and tools, our technicians diagnose each concern you have accurately and efficiently and complete your Subaru repairs right the first time. Whether your Subaru Forester requires a new head gasket, your Outback is burning oil, or your Legacy has consistent electrical issues, we can take care of it. You want your Subaru repairs to be dependable for the long haul, which is why we always use original equipment and name-brand aftermarket parts for repairs at Wright’s Automotive Service. For accurate Subaru repairs in San Leandro, visit Wright’s Automotive Service – your first choice for quality and convenience. Give us a call or use our convenient online appointment form to schedule your visit today!